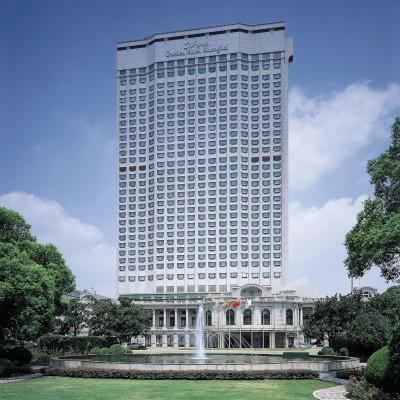 Lock in a great price for Okura Garden Hotel Shanghai – rated 8.6 by recent guests! 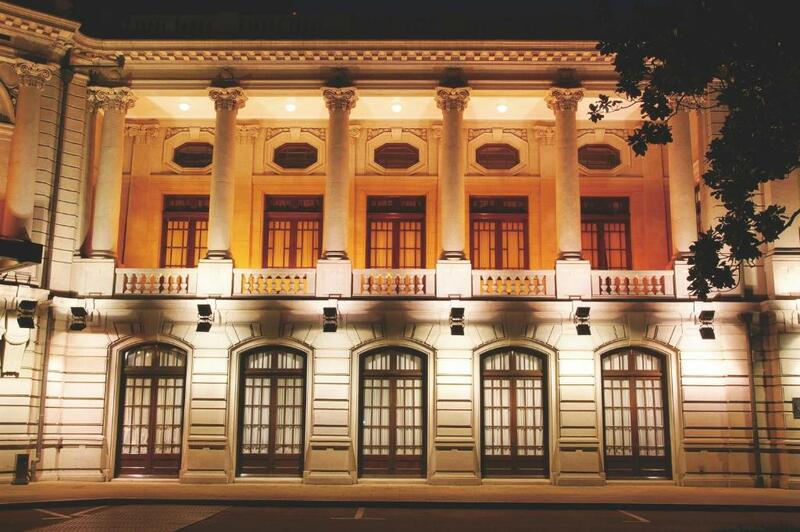 Okura, housed in a landmark building, blends the cultures of Shanghai's past and present. Facilities, grounds, location and helpfulness of door staff were my favorite things. Filtered water was an amazing amenity! 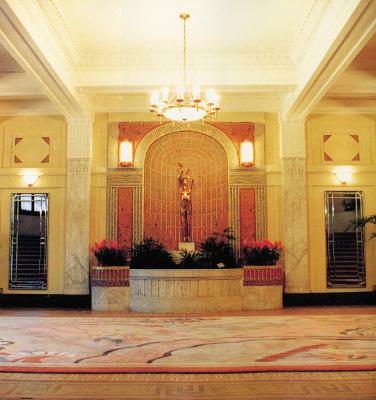 The location is fabulous, the old art deco building is beautiful and the staff are always polite and helpful. reasonably big rom and very clean, japanese toilet and big bath tub, using shiseido washing products. Breakfast is good. Vegetables and salads are very fresh. Love it. Very clean and confortable. The position is great. Clean, comfortable but a bit conservative. A super base to explore "real" Shanghai, like Baoshan Road. I first encountered the hotel at a Shanghai Beer Festival in your garden. Never thought it would become my favourite Shanghai Hotel. Restaurants look a bit pricey so I eat elsewhere, maybe you could introduce an economic breakfast. The Panorama Lift is wonderful everyone who stays in the hotel should use it at least once. 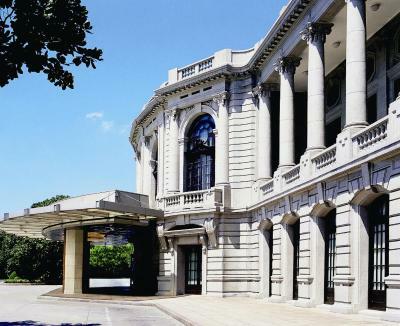 In the heart of former French Concession, Okura Garden Hotel Shanghai is on 7 acres of private, landscaped grounds. 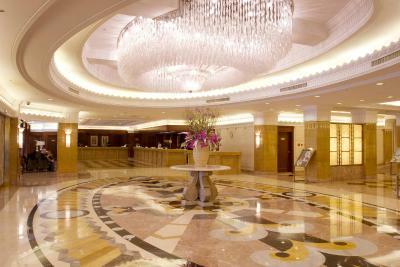 It has easy access to The Bund and People's Square, which are about a 10-minute drive from the property. The hotel has luxurious accommodations with free internet, an indoor pool and a tennis court. On-site dining options include 5 restaurants and 3 bars that serve a variety of international flavors. 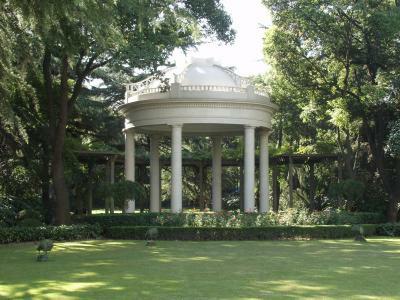 Shanghai Okura Garden is just under half a mile from Shanxi South Road Station (line 1), and is just a few steps from the Huaihai Road shopping area. 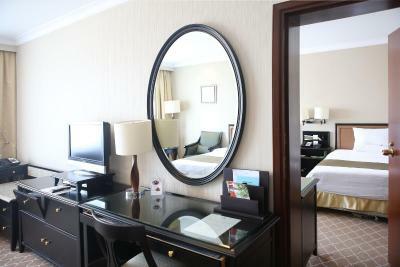 Pudong International Airport is a 30-minute drive from the property. With big, clear windows overlooking the city or garden, rooms at Okura Garden feature Japanese-style prints with warm colors. 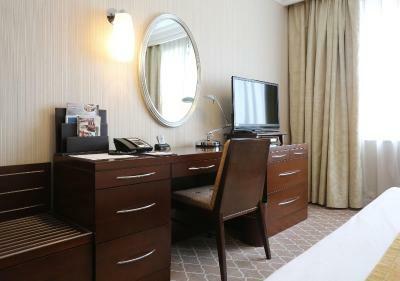 Each air-conditioned room has a cable TV and a minibar. Guests can exercise at the well-equipped gym or relax with a massage. The hotel features a beauty salon and business center. Laundry services and a tour desk are also available. A buffet can be enjoyed at Coffee shop Rose, and authentic Cantonese and Shanghainese cuisines are served at restaurant Bai Yu Lan. Japanese restaurants Yamazato and SAZANKA feature fresh, seasonal food. 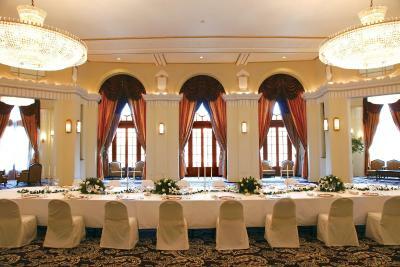 The Continental Room restaurant serves French delicacies. Refreshing beverages and light meals are available at the 3 on-site bars--Oasis, Ye Lai Xiang and Sky Bar. 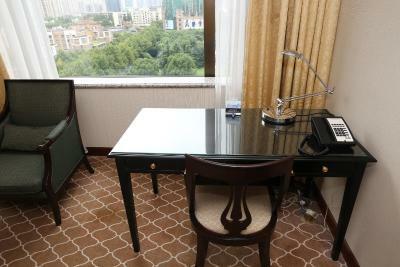 When would you like to stay at Okura Garden Hotel Shanghai? On floors 8-17, this room accommodates up to 3 adults and one child. From Monday to Friday, there is a CNY200 extra charge for a 4th guest in the Family Room. From Saturday to Sunday, there is no extra charge for a 4th guest in the Family Room. This twin/double room has a seating area, bathrobe and mini-bar. Please note that the admission fee to Health Club for guests who stay in Superior Room would be CNY 50 per time. More information, please confirm with the property directly in advance. This suite features a living area and a bedroom. 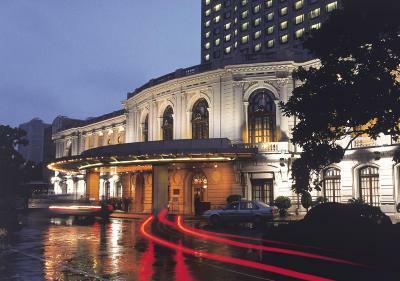 Okura Garden Hotel Shanghai has always preserved its unique and elegant baroque style. 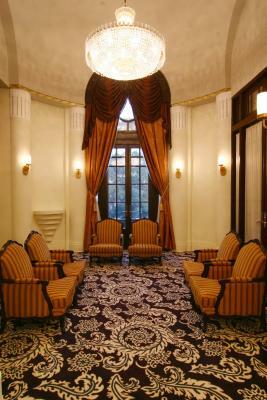 In turn, distinguished guests, from all over the world have added glamour, sophistication, style and grace. 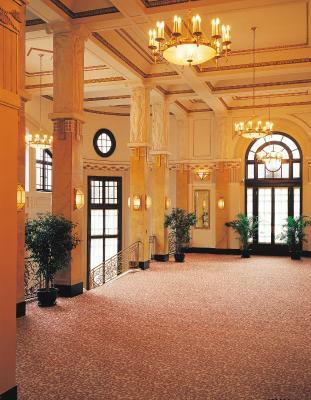 Okura Garden Hotel Shanghai has witnessed Shanghai’s great changes, yet always preserved its unique and elegant style. In turn, distinguished guests have made it possible to look back on many wonderful memories, each of them a flower in our blooming garden. House Rules Okura Garden Hotel Shanghai takes special requests – add in the next step! Okura Garden Hotel Shanghai accepts these cards and reserves the right to temporarily hold an amount prior to arrival. Would love a coffee maker in the room! The taxi drivers who serves the property need to be selected. it is not possible to ask for a taxi at reception and get houful cars driven by diry and disgusting tazi drivers. I had fantastic taxi and fantastic taxi drivers elsewhere in the city, so you need to select them, please! The smiling smell lingering in the corridors. Needs stricter monitoring on guests smoking in rooms. There were a few rooms with guests smoking in the room with door ajar. I was on 15 th floor. I am very disappointed that the hotel did not exercise strict rules on obeying the smoking law inside the building. Bed excellent. Staff very courteous . I have roughly 120+ travel days yearly, and I have been in places like Ukraine, Kosovo, Kenya etc. This hotel is the first ever where you have to pay extra for using the gym. 50rmb for the gym?? I wouldn't maybe be this angry if the gym would be excellent but nope, it is also something you would expect to see in the 80s. Out of date equipment and small. Good job for getting my 50rmb, I will not ever stay in this hotel again. It looked a bt run down.